Unless you were a diehard motorsport fan, you might not have known the name Gazoo Racing until recently. Toyota’s factory racing team has represented the manufacturer in both the World Rally Championship and the World Endurance Championship for some time now, but has been moving progressively into the mainstream, helping the Japanese giant develop sports cars for the road. 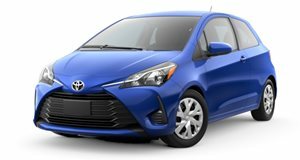 First came the Yaris GRMN, a speedy subcompact that didn’t reach American shores, and Gazoo has also had a hand in several Japan-only specials. Its biggest resume item to date has been attaching the GR prefix to the revived A90 Supra, which was co-developed with BMW. Now Gazoo Racing has gotten its hands on something a bit different, and decidedly smaller in the form of the wee Daihatsu Copen. The Copen participates in the kei car segment, making this tiny sports car one of the smallest highway-legal vehicles on sale in Japan. With Daihatsu being a wholly owned subsidiary of Toyota, the Gazoo Racing team decided to add a bit of spice to the cutesy Copen. However, in order to keep within kei car rules, the engine remains untouched, meaning it remains a minuscule 63-horsepower 660-cc engine. But outright speed isn’t the Copen’s raison d’être, it is more focused on lightweight fun in city-friendly proportions. However, Gazoo Racing has adjusted the suspension for a more sporty ride, beefed up the bodywork, and swapped in gold 16-inch BBS wheels. Recaro seats are found inside, and a diffuser and dual exhaust pipes poke out the back. Matched with the bright red paint, the Copen GR Sport is a striking little thing. While it may seem a bit ridiculous to American tastes, Japanese kei car ranges are diverse. The Copen is offered in four different body styles, including a fake-offroad mini crossover. While Daihatsu and Gazoo insisted it is just a concept for now, the Copen’s wide range of models means it has a good shot at production. Sadly it will remain forbidden fruit.